Transition plans are intended to help make transition back to the community as healthy and productive as possible by developing specific actions and/or strategies designed to address individual needs. Beyond the obvious advantage of planning for success over the medium to long term, transition plans provide specific direction for an individual during his or her first days post-release. As we are all too aware, choices people make soon after their release are pivotal to their success or failure. Transition plans target issues such as housing, employment, family reunification, educational needs, substance abuse treatment, and health and mental health services. In many cases, a transition plan is the primary intervention for individuals released within hours or a few days of entering jail. We use the term “transition” because it embodies a central tenet of the TJC model—that the overwhelmingly majority of those in jail are passing through—returning to the community—and need help identifying support and interventions in both locations. We also recognize that the vast majority of people housed within your jail will transition directly from your jail to your streets in a relatively short period of time making coordination with professionals and supports within your local community an essential component of the process. This component specifies interventions addressing the “moment of release”—those critical first hours and days after release from jail—and facilitating the provision of needed services in the community. This component specifies interventions for covering the mid- to long-term transition period upon return to the community. Though the post-release plan is initially developed in jail, it is expected to be revised in the community. Implicit in this approach is the understanding that one size does not fit all and that plans should be tailored to the needs of each individual. Some individuals, for example, will need extensive services and support, including intensive case management, to effectively transition to the community; others may require only minimal assistance, if any. Prioritize a person’s higher risk needs identified by a validated assessment. Develop an individualized written plan of intervention. Identify when goals have been accomplished. Identify who is responsible for providing each intervention. Link and schedule appointments with community providers. Ensure continuity of interventions from jail to the community. Establish goals and/or targets of change that are agreed upon by the inmate and those responsible for his or her custody and treatment. 1. Burke, Peggy, Paul Herman, Richard Stroker, and Rachelle Giguere. 2010. TPC Case Management Handbook: An Integrated Case Management Approach, Washington, DC. National Institute of Corrections. 2. Burke, Peggy. 2008. TPC Reentry Handbook: Implementing the NIC Transition from Prison to the Community Model. Information on the “Transition from Prison to the Community Model: Transition Accountability Plans (TAP)” is available on page 212. 3. Carey, Mark. Coaching Packet: Effective Case Management. 2010. The Center for Effective Public Policy. 5. Christensen, Gary E. 2008. Our System of Corrections: Do Jails Play a Role in Improving Offender Outcomes? 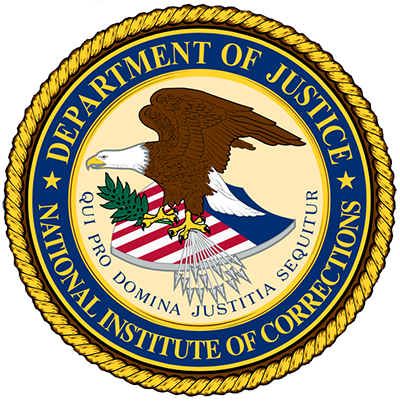 National Institute of Corrections/Crime and Justice Institute. 6. Conly, Catherine H. Conly. 2005. Helping Inmates Obtain Federal Disability Benefits: Serious Medical and Mental Illness, Incarceration, and Federal Disability Entitlement Programs, Cambridge, MA: Abt Associates. 7. Parent, Dale G. and Cranston Mitchell. 2002. Transition from Prison to Community Project Briefing, Abt Associates Inc. Transition Accountability Plan PowerPoint slides 16–18. 8. Warwick, Kevin, Hannah Dodd and S. Rebecca Nuesteter. 2012. Case Management Strategies for Successful Jail Reentry: Transition from Jail to Community Initiative Practice Brief, Urban Institute.